Another political organization has come out publicly against Sheldon Adelson’s Restoration of America’s Wire Act (RAWA), this time the ever-so patriotically named Center for Freedom and Prosperity (CFP). On Thursday, the group penned a letter to U.S. Representative Bob Goodlatte, Chairman of the House Judiciary Committee, urging him to continue to oppose the bill. If you couldn’t tell from the name of the organization, CFP is decidedly conservative. Its mission statement includes such goals as “Promote economic competition and the entrepreneurial spirit,” “Reduce the size of government and return it to the Constitutional limits put forth by the Founding Fathers,” “Protect the right to private property,” and “Encourage free and open trade.” And though conservatives tend to be the ones seeking to ban online poker, it is also conservative groups like this that are fighting against RAWA. They aren’t on the side of poker players because they are pro-poker, though, but rather because they are anti-big government and pro-states’ rights. The letter to Rep. Goodlatte was produced by a coalition of different advocacy groups, including some that have already spoken out against RAWA, such as the American Conservative Union. One of the most ironic and, frankly, emotionally conflicting aspects of all of this is that it creates strange political bedfellows. 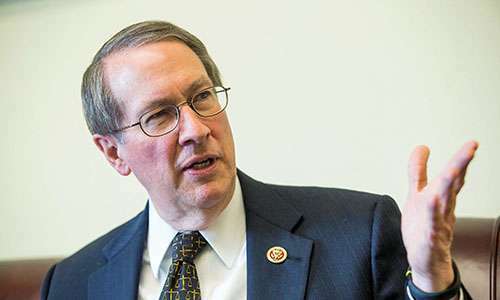 Rep. Goodlatte was one of the core legislators leading the charge to pass the Unlawful Internet Gambling Enforcement Act of 2006 (UIGEA) and is staunchly anti-online poker (not at all because he is pro-horse racing, oh no). He is also, though, one of the leading defenders of the Tenth Amendment in Congress and as such, as a huge states’ rights advocate. We appreciate your steadfast support of the Tenth Amendment to the Constitution and your leadership in the face of constant threats from both political parties. We wish more Members of Congress devoted as much energy and attention to the Constitution as you do. opposition to gambling. That said, politics and one’s personal views should not trump the ability of states to regulate their own affairs. state and federal governance. The bill would overturn state laws already on the books in three states and would prohibit states from selling lottery tickets online for their own constituents – rolling back at least another six state laws. The Tenth Amendment was designed to protect states from the unmitigated power of the federal government, because a government powerful enough to tell states they cannot have Internet gaming for their residents is also powerful enough to one-day force gaming on the states. Weakening the Tenth Amendment today will do permanent damage to it. Let’s be honest – this is not possible. Proponents of the legislation are seeking to rollback state laws and prohibit other states from exercising their constitutional authority. Period. Anything less will be considered a failure. It has also come to our attention that some in Congress are proposing a “gaming moratorium” which would grandfather existing states that have passed laws while prohibiting other states from exercising their rights under the Tenth Amendment. Make no mistake about it, a moratorium is as much an assault on the Tenth Amendment as an outright ban. We encourage you to continue to stand up for the Constitution, the Tenth Amendment, and the ability of the states to regulate their own affairs. We assume there will be a last ditch effort prior to the 2016 elections to see this provision enacted into law, perhaps as part of a larger spending package. We urge your continued principled opposition to the Las Vegas rent-seekers pushing for this measure. This bill is an assault on the constitutional values we all hold dear.